Players will be tasked with hunting down Guristas Pirates as the next in-game event, title The Hunt, begins on March 20. Pilots who wish to take on the hunt will find sites all across New Eden, with rewards including Cerebral accelerators, a new damage modifier module, boosters, clothing, and skins from the new Hunter Quiver range up for grabs. The story behind the Hunt involves the Guristas collecting derelict capsules, hoping to fuel their own cloning agenda. Pilots must race against time to recover the pods before they are stolen by the Guristas, and keep hold of them as they will fetch a reward from interested parties. To take part in the event, use the Agency to find a beacon called Guristas Detention Facilities or Guristas Transportation Facilities. Rewards are provided in the form of the capsules, loot drops from the Guristas rats and the boss and agency rewards (not yet known). Like the Gala, there should be missions where you score points for killing (5,10,25,50,100) Guristas in the sites. (information has been taken from Hoboleaks as the event quests don’t appear on SISI). All testing below has been done on SiSi, so as always, there may be changes between the test server and live. 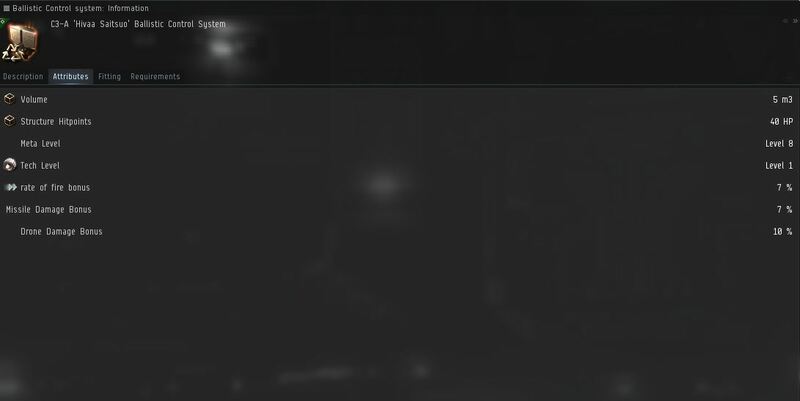 This is the easy site for the event, and there appears to be no variation between highsec, lowsec, or nullsec. The random spawn at the start normally contains five ships, a mix of frigates and cruisers, but sometimes a battleship will appear. If a battleship is present, then the starting group will be smaller. Reinforcement waves come randomly and are not triggered by killing an NPC. The rats showed no advanced AI behaviour; they did not warp off and back. Also, they only used a target painter as a form of electronic warfare. Finally, the boss warped in at range, not just spawning in the middle of the site and burning off like in the Gala. Overall, the site felt easier to run than The Gala sites, but there’s been a major change to the loot. In the Gala sites, the only loot worth looting was from the boss. This meant that all your work was rewarded with the final boss; if someone ninja’d the kill or your loot, you missed out. Now, Agency boosters are dropping from the rats. 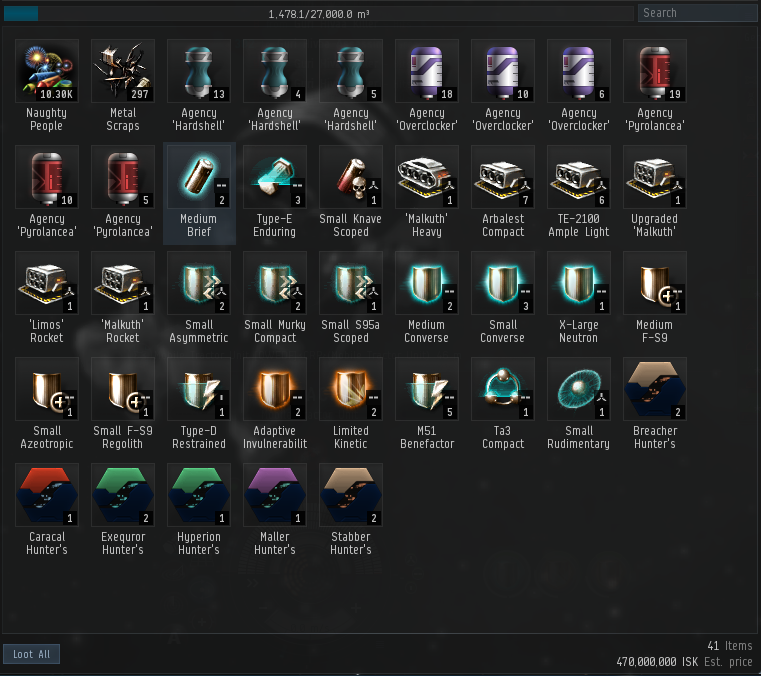 In one site I tested in HS, I got 30m ISK worth of boosters before the boss loot. This means that the value is spread out, and use of an MTU is important to collect all the wrecks. 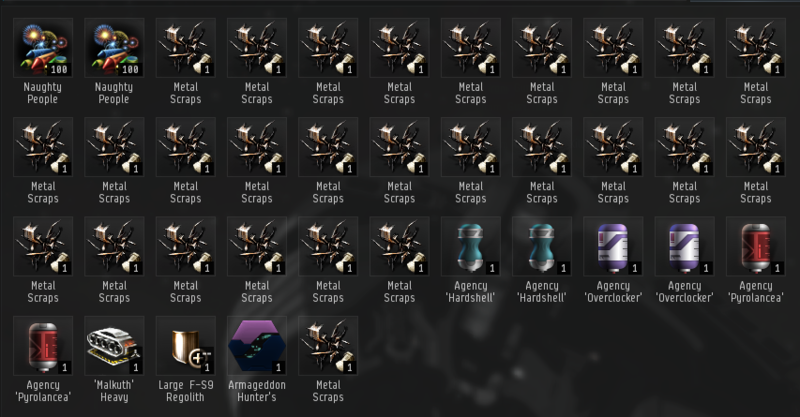 Skins are also dropping from the rats, and the boss has a bounty of 350k ISK. This is the hard difficulty site for the event, containing a larger starting wave and featuring battleship spawns as mobs. The rats follow the same behaviour as they did in the detention facility. When I tested this on SiSi, the normal event rats in the site dropped skins as well as assorted other loot. Remember to bring your MTU with you! You will find more capsules inside these sites, as well as a dreadnought as a boss with 2.5m ISK bounty. At the time of writing, the dreadnought does not attack you due to a bug on SiSi. There is a timer on the site, meaning you need to use a super or a group of carriers to deal enough DPS to kill the dread before it warps off and closes the site. The main reward is the return of cerebral booster, once again they are offered in 3 different flavours: +10 for 24 hours, +12 for 24 hours, and +10 for 72 hours. As before, these boosters take up slot 10 and are affected by the Biology skill . Allowing you to double the time on boosters at level 5. At this point, I feel if you don’t have Biology to level five and you plan on using boosters, you should train it now. These boosters are becoming more common in the game, and the five days to train level five is worth every minute. This is because you get an extra 4.8 hours per booster for every level of Biology you train. Again, these boosters are affected by Biology, making each booster last one hour at level 5. Finally, there a collection of clothing items which have a Guristas theme. The Guristas detention facility can easily be completed by a low skilled T1 Gila. the damaged applied by the rats are low and the boss is weaker than the Gala BS boss. Bellow, I’ve included a fit which can easily be upgraded to T2 and faction should you wish to bling fit. Make sure to pack an MTU to gather the loot, as skins have been known to drop from the rats, not just the boss. Now that you have a ship and knowledge of where to go, you are ready to join the Hunt. Are you planning to participate in this event? Let us know in the comments below! By your fit I’d say a similarly fit Drake would suffice and be a bit cheaper. Good report. Or maybe even a worm or a iskur, which worked before the advanced AI events. Drakes don’t get a drone bonus, that’s what makes the Gila. I was easily able to get through the detention sites with a dual rep Myrmidon ratter using only drones for DPS. 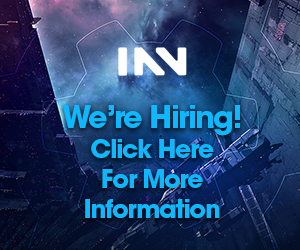 Are the harder sites low/nullsec only? If you invest 200 mil ISK in a Gila, why the heck would you fit it with basic T1 modules? At least fit it with named or faction modules if you lack the skills. Also, by the time you’re skilled into and can afford to fly a Gila, there’s really no reason you shouldn’t have at least skilled into T2 variants of Damage Control, Drone Damage Amplifier and Large Shield Extender. Even as an Alpha. Except that a high SP, ridiculous expensive pirate ship with extreme bonuses doesn’t really qualify as an “anyway you like fit”. For an affordable, low skill, alpha friendly, fitting advise that is actually useful for newer players, T1 ships is where it’s at. He says low skilled Gila, so, I dont think Cruisers II for 2 races counts as high skilled. OP wanted to give Alpha-friendly advise here. And this is just bad fitting advise for Alpha’s, as he admits he lacks this experience. Which unfortunately has always been the problem with INN/TMC: Advise to Alphas, which should be a priority for this site imo, is generally lacking and poor for a high profile Eve player blog that has so many Alphas within their audience. you raise some very good points. I choose the Gila as a ship as it’s the one that I’ve used for a number of the events now and have no issue with running the sites with it. the T1 version is easy to use skill wise and can be upgrade easily to T2. I wanted to make sure that the fitting was Alpha friendly, as I don’t know all the alpha skill limit off the top of my head. As for the cost of the ship, it’s a great investment, the sites pay out about 20m if you get a booster drop up to 100m for the 3 day booster. Because the servers are down, been testing with a few ships keeping under a budget and it’s painfully. the tank of a drake is needed due the incoming damage as well as taking about 10 mins to kill the boss. the biggest issue with this is you are in a race to kill the boss in HS. if you are not fit right or dealing enough damage you will not win if someone contests you. yes you can fly a drake and budget fit, but if someone comes into your HS sites and decides they want to contest you will never win. This is why the Gila, a ship with bonus to shield, and missile damage vs guristers should be a baseline, it’s drones with the bonus make swift work of the site and the boss. It’s speed is also key to loot the wreck before it’s stolen. I don’t necessarily object your choice for a Gila as a baseline ship for these missions, even for an Alpha (although it’s generally more viable to look for T1 ship solutions in that case). It’s just that your Alpha-friendly version recommendation is very poor advise for Alphas, clearly coming (as you admitted) from someone with little Alpha experience. Better not to give Alpha advise at all then. Unfortunately, generally poor and lacking Alpha advise has been always a huge problem for this site. 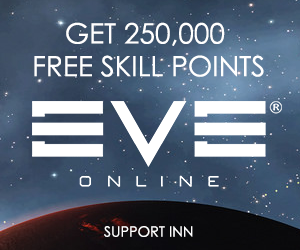 Which is really surprising for an Eve player blog that is supposed to be inviting to Alphas. The boosters actually have an interesting difference. The ‘Advanced’ booster has +12 but only lasts 24 hours (before skills). The ‘Extended’ booster only has a +10 but lasts 72 hours (before skills). It will be interesting on how they get priced out and we see which people value more. It’s the same for every such event. The 3-day booster gives +10 to all stats. Yes, but last event there were 3 types of boosters. The 1 day +10, the advanced 1 day +12, and the drip-feed 3 day +10. This time it’s just two types but they each have distinct advantages. Has any one tried the farming the even site in High Sec yet? Basically you warp to the site drop an MTU and then orbit the central collidable object at the station. Deploy your drones and let them work on what ever they target. When the cruisers warp in take them down as well as the Guri battleships. As long as you don’t destroy Rakka the site will spawn indefinitely leaving behind a lot of wrecks to salvage as well as increased chances to get more valuable drops from the cruisers and BS. Remember their is no such thing as site ownership so quite whining. Farming the event sites for 45 minutes to an hour will generally drop between 35 and 75 mil in loot with an hours time spent salvaging using five Salvage Drones.